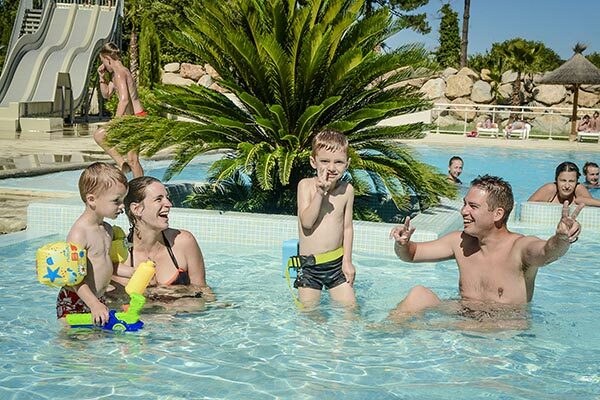 Our Sunêlia Les Pins campsite is a must for a holiday in the water in the resort town of Argelès-sur-Mer on the Catalan coast. Our 4-star hotel is located just few steps from the Mediterranean. We also have a beautiful water park surrounded by lush vegetation at the foot of the Albera Massif mountains. 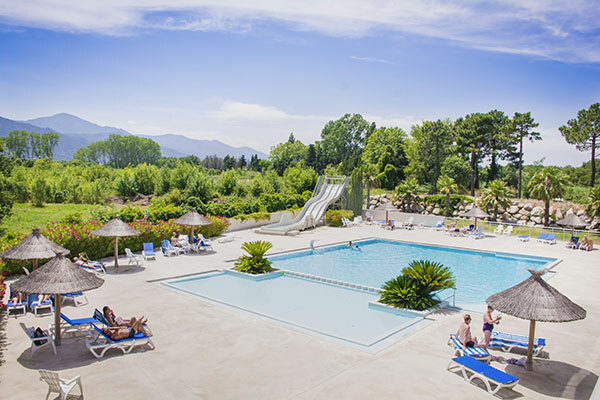 For a holiday between mountains and sea with your family, friends, partner or even solo, we at Les Pins offer comfortable accommodations and a variety of services. Enjoy the nearby beaches and the campsite’s pool under the warm southern sun when you book your vacation rental. 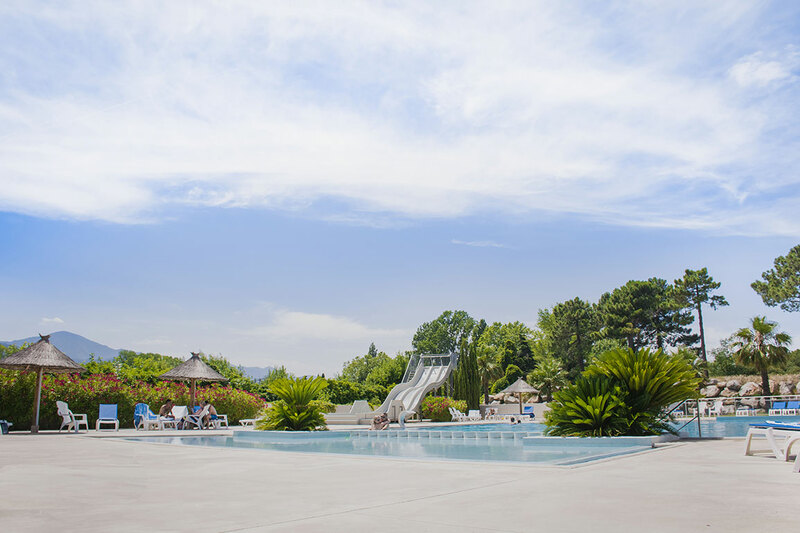 Our water park at the Les Pins **** campsite is accessible to all renters staying in a mobile home or camping pitch. You will love the relaxing decor that will whisk you away to paradise. The complex has several pools including one for adults with massaging jets, a pool for children and water slides. When you want to take a dip and cool off, you can take a nice swim with your family in the pool. You can also laze on the sun loungers and enjoy the zen atmosphere or eat at the snack bar. If you want to have fun, don’t miss the water slides. Young and old can enjoy sliding quickly into the water. You can even challenge each other on the triple slide. So you can enjoy a great holiday with your loved ones and make wonderful memories. Our pool area at Les Pins is a perfect place for relaxing or having fun during your holiday, especially if you’re with a big group. If you are looking for a campsite with water slides in the area, look no further. Kids can also enjoy their holiday with a swimming area just for them at the Les Pins water park. They can splash and have fun in the wading pool while staying safe. It’s easier to watch your toddlers in this space. Note that shorts and underwear are strictly prohibited for hygiene reasons. Don’t forget that the beaches of Argelès-sur-Mer are only 300 m away. With our great location at Sunêlia Les Pins, you can swim in the sea and the pool on the same day. So go for it!